Sometimes the day works out better than you expect. The forecast last weekend was for low clouds and showers. That’s certainly how the day started out, but by the time I’d walked up to the edges and tors above the Derwent Valley a low autumn sun had broken through to create one of the best days I’ve had in the Peak District. The sun combined with a haze to produce bright, golden light, stark shadows and the landscape fading into white the further away you looked. Back Tor and the moors. 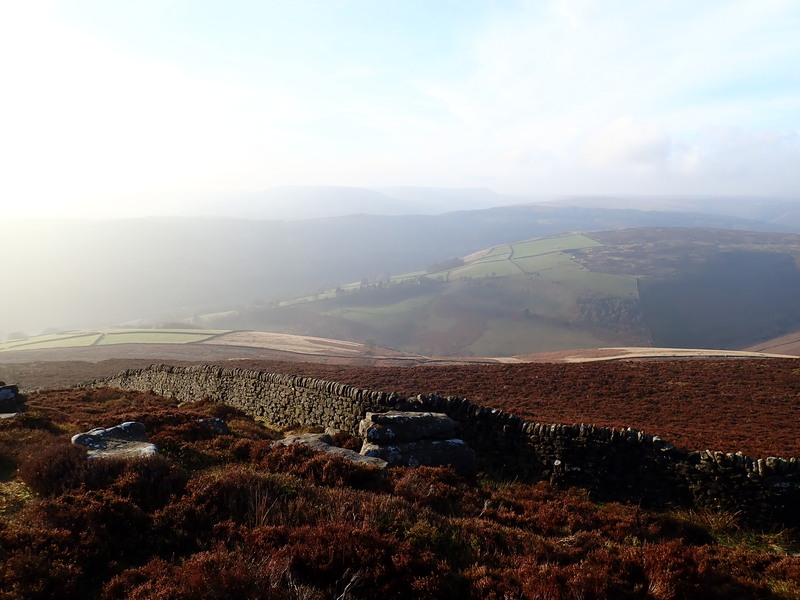 Derwent Edge, with Lost Lad and Greystones Moss (where I’d come from that day) in the distance. That was Saturday and the forecast for Sunday was initially for dry weather, intermittent sun shine and a gentle breeze. I went to bed on Saturday hopeful that I would be able to go climbing and have a day a bit like Saturday. 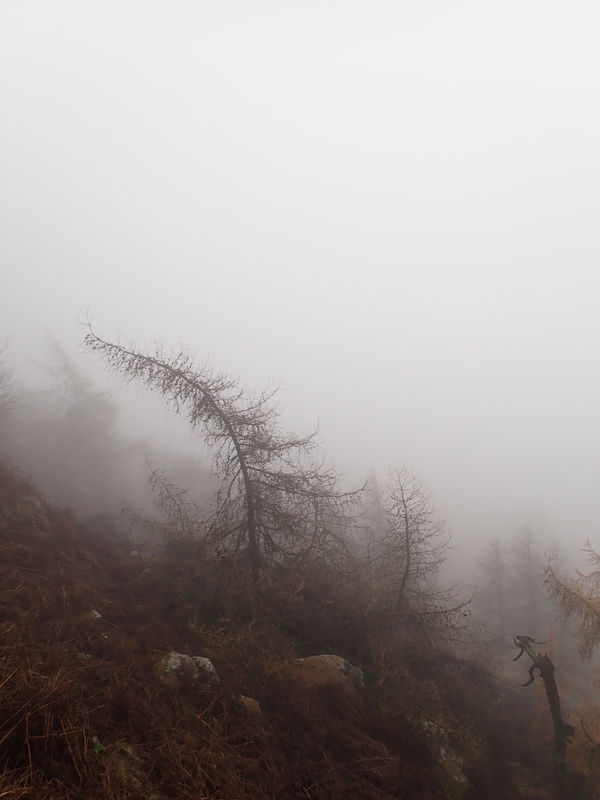 By the time I woke up on Sunday it had become rain and mist, and my chance of bouldering was gone. It was a bit disappointing, but then that’s the sort of weather I’m used to getting when I try to go climbing. I’m really pleased that I got that autumn sun for one day. Trees near the High Neb area of Stanage. When the weather is that great it’s easier to take a good photo. It’s a lovely looking rock. It’s less the getting up it that would worry more, more the getting down again. Glad you liked the photos. They are great moors up there. I always found that at Brimham Rocks – I’d clamber up some of them but had hell getting back down!